Innovative and expert business banking, business banking as it should be – a smart, efficient service delivered through our local business & private banking centres. With a network of business & private banking centres located across Lancashire you can gain direct access to a whole team of local banking specialists. You can trust us to deliver the solutions you need – from asset finance and treasury solutions to financial planning and protection. All designed to meet your business goals. Ensure you have a robust business plan and financial forecasts in place. Preparing a detailed business plan forces you to think through how you are going to start, grow, and potentially even exit a business. It allows you to critically analyse your objectives, financial requirements, strategies and business structure whilst ensuring that you understand your marketplace, competitors, and how you might position your business to take advantage. Lancashire is a modern, dynamic business hub supporting an increasingly diverse range of businesses and professionals. It is one of the largest regions in Britain with a £20 billion economy and has been a strong manufacturing sector base in the UK for some 200 years. Recently it has become a leading Region for advanced manufacturing and food and drink sectors; with improvement’s to the rail network and a comprehensive motorway network and good access to major airport and shipping ports it will continue to thrive and grow as an important business centre in the UK. 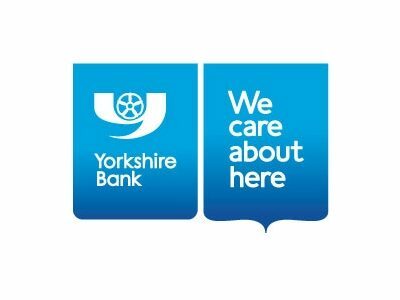 Yorkshire Bank are keen to support ambitious local businesses and entrepreneurs who are looking to invest in their growth, whether it be expansion, new staff, equipment, machinery or new product development. Supporting local businesses will ultimately create opportunities elsewhere in Lancashire for other businesses and employees and thus help support a wider regional growth agenda.